Reinhold Würth was very quick to recognise an enormous growth market in the electronics field. He consequently founded the department Würth Elektronik in 1971 within the Adolf Würth GmbH Co. KG. After an excursion into measurement instrument manufacture, the company goal was to produce circuit boards for the electronics industry. Premises were made available for this department in Bahnhof Strasse in Künzelsau. After 5 years, the foundations were laid for independent development with the entry in the Schwäbisch Hall commercial register. 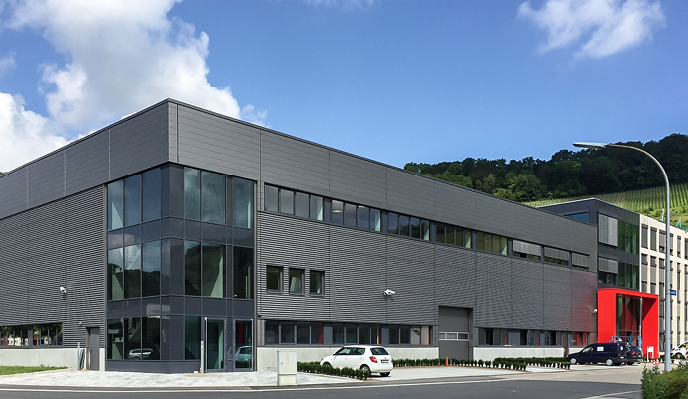 As a consequence of the rapidly increasing growth, the premises in Künzelsau are no longer sufficient and so relocation took place to a purpose built circuit board plant in Niedernhall with a production area of 2200 m². Construction of a new production facility to keep pace with market demand. Commissioning of a total of 6200 m² production area in Niedernhall. The number of Würth Elektronik employees now numbers over 120. Flooding in the Kocher valley causes damage at Würth Elektronik running into millions. Thanks to our employees and suppliers, circuit board production can be resumed within just 14 days. Circuit board production at the company head office in Niedernhall is expanded with the Rot am See plant. 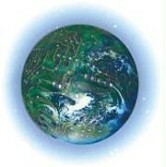 Microvia technology is successfully launched there in the same year. 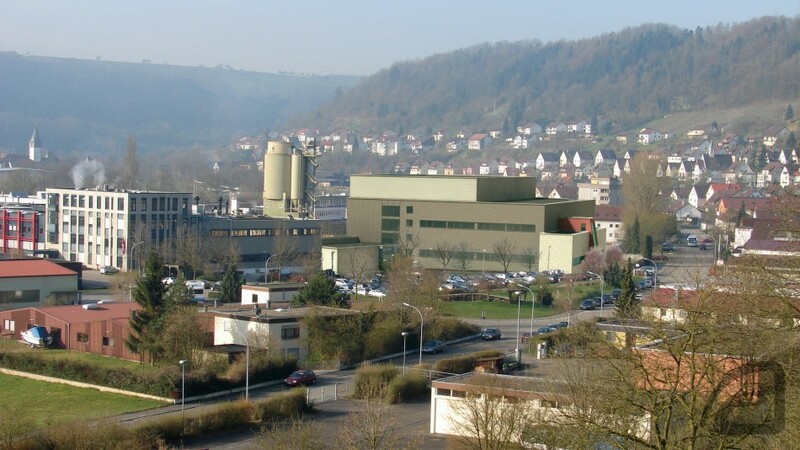 Takeover of the Metalex circuit board plant in Pforzheim and founding of Würth Elektronik Pforzheim GmbH & Co. KG. Completion of the expansion of the circuit board plant in Niedernhall. Takeover of the old, established EMC company Radialex in France and the foundation of Würth Elektronik Italy. Würth Elektronik enters the new millennium with 660 employees and an annual turnover of 188 mil. DM. The contractual agreement for Würth Elektronik’s purchase of ppe was signed 11.4.2003. Würth Elektronik now has the capacities and the production know-how of four production plants in Germany at its disposal with diverse technological orientation. CBT plant of Niedernhall was extended of 4.230 m², additionally to the existing 6.092 m² production area. So altogether now 10.322m² production area is available. The operational start of a highly modern electroplating facility sees in their model and prototype plant Rot am See represents a further strengthening their position as Germany’s leading PCB maker. 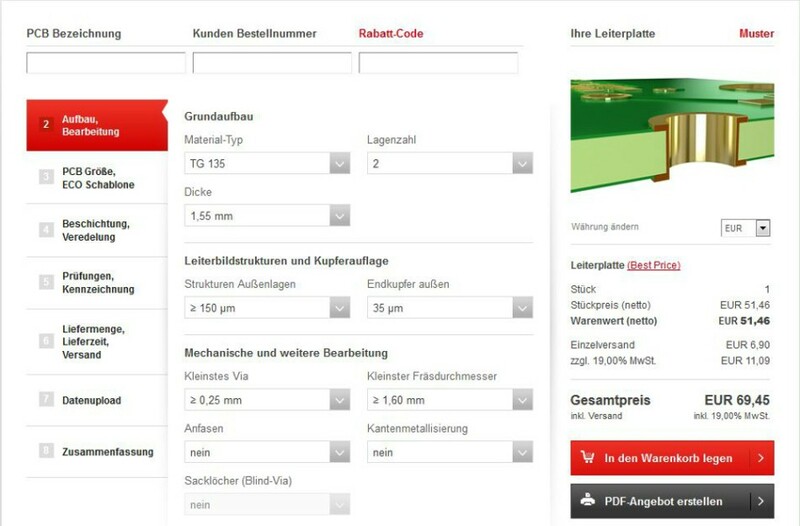 With the Internet Shop WEdirekt, the circuit board manufacturer Würth Elektronik offers the possibility of ordering circuit boards in basic technology, as well as SMD stencils, easily and quickly online. Despite the global economic and financial crises, Würth Elektronik continued to invest in the expansion of its sites and production lines. 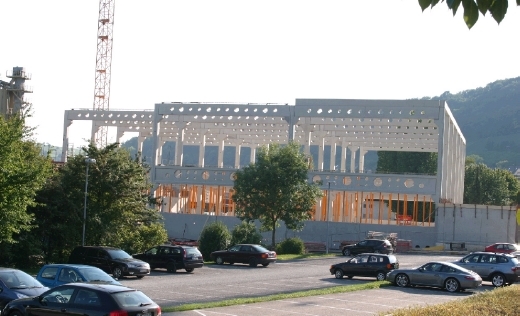 In spring 2009, for instance, the extension of WE CBT Niedernhall covering an area of approx. 5,700 sqm was completed on schedule after around nine months’ work; in Rot am See a new clean room for laser plotters was built. The Würth Elektronik Design Conferences, an inherent part of sales activities outside Germany since 2005, were introduced in Germany and proved extremely successful here too. With an over 70% sales increase compared to the previous year, the online shop WEdirekt has achieved a remarkable result. 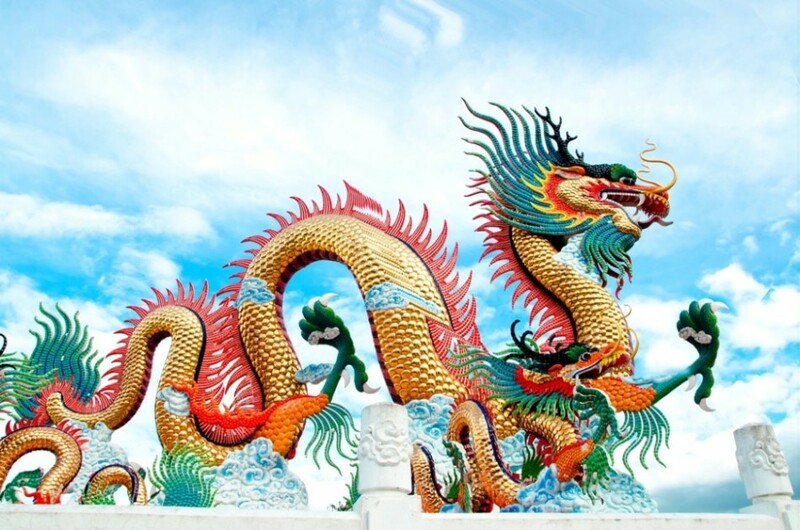 Founding of Asia Production. Circuit boards from Asia expand the portfolio with additional technologies and now cover the entire product life cycle even in high volume. 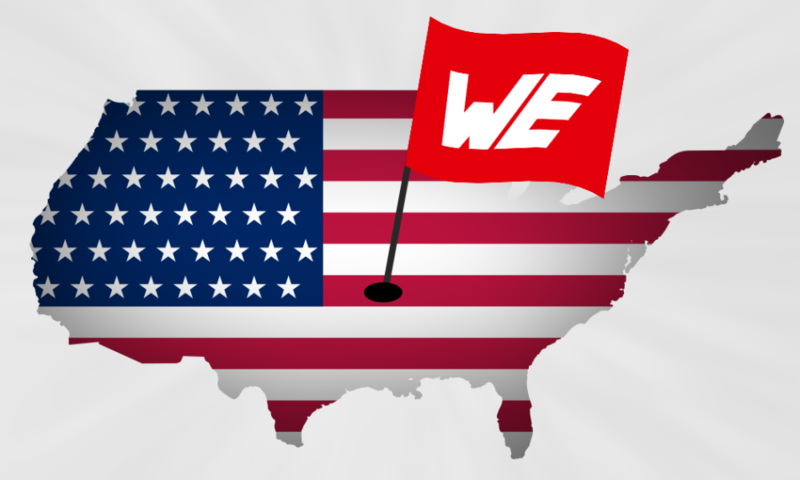 Market entry into North America with a local sales team in the USA. 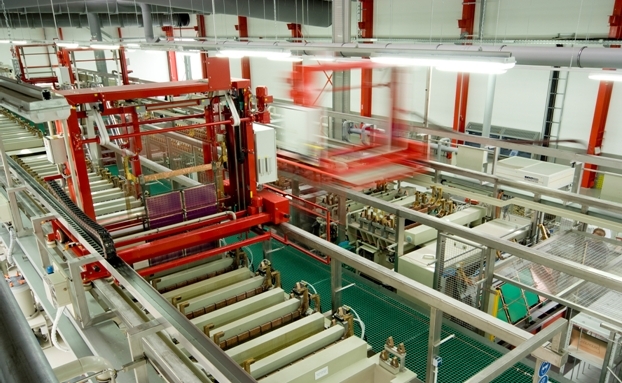 The new printed circuit board plant in Niedernhall is the most modern of its kind in Europe at the time of its commissioning. 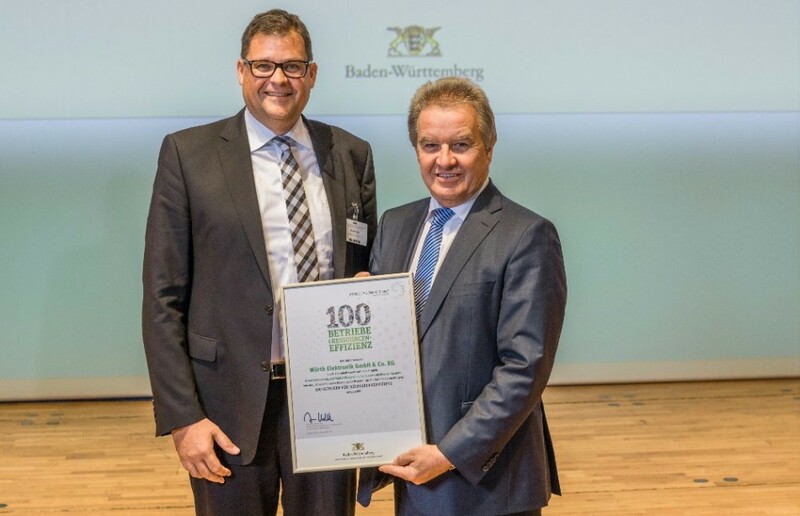 Baden-Württemberg's Environment Minister Franz Untersteller (right) presents Managing Director Daniel Klein with the state's Environmental Award for Resource Efficiency. This is an acknowledgement for copper recovery in printed circuit board production. 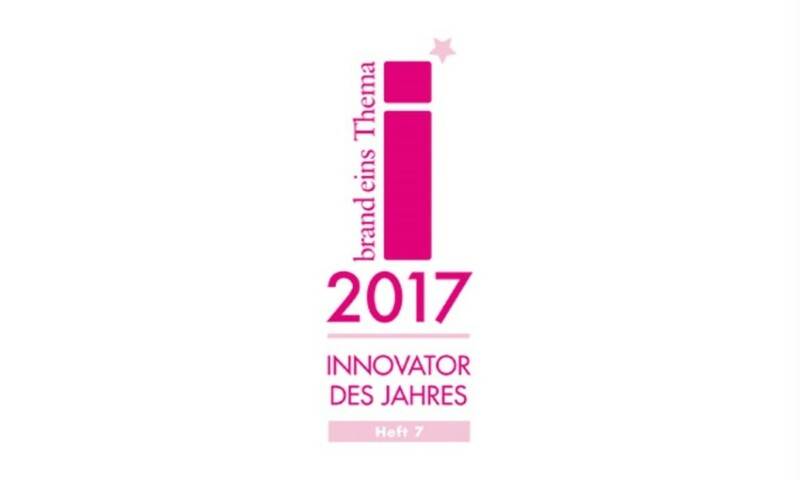 Würth Elektronik is awarded Innovator of the Year by Statista/brandeins.